Shipping Dimensions: 13.5" x 9.5" x 4"
Each set includes Heart Model, Brain Model, Body Model and Skeleton Model as well as facts. step by step assembly instructions and a display stand. Total piece count is 132. 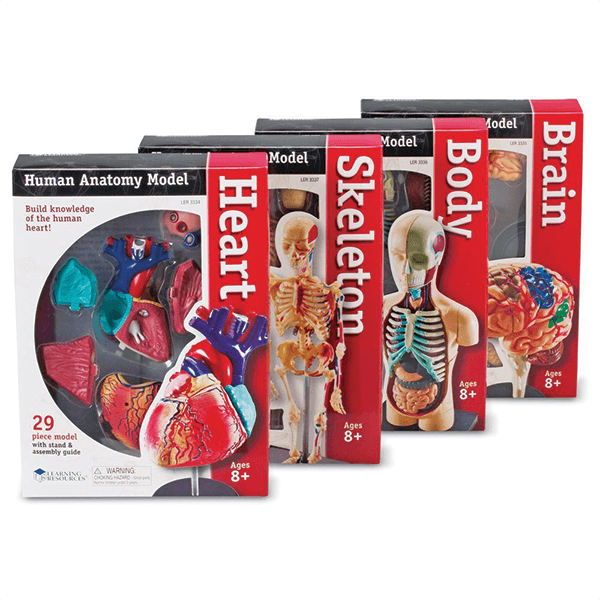 Explore the heart, brain, and skeleton with this anatomy model set from Learning Resources! 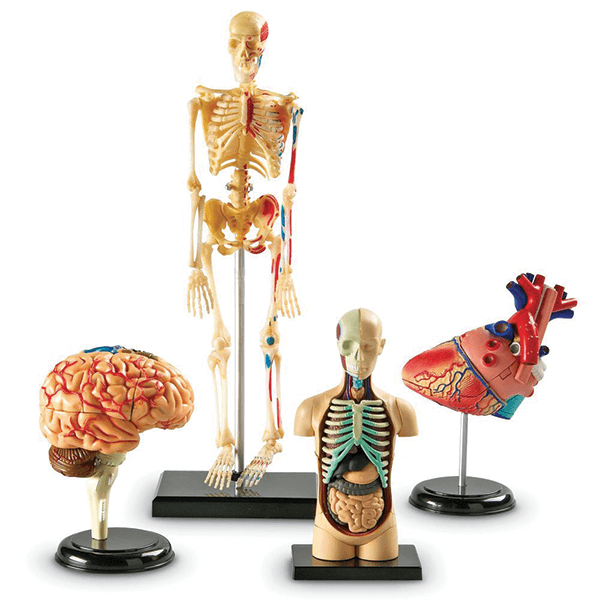 With instructions on each build, a display stand, and posable pieces, explore and learn all about the human body!